Betrayal, an engagement, a kidney ring, and Bull Terriers --what’s not to love? Luckily for readers of fun, fast-paced fiction, Inspector Jane Rosen has returned, and she’s just as feisty and in your face as ever. Thank goodness! I laughed throughout while reading Dog Spelled Backwards. The fact that one of my favorite heroines has to give up the Doc Marten’s and go undercover as an Orthodox Jewish woman had me hooked. The story involving the kidney ring is tightly written and creepy--and yet again also humorous at times. (How does Yesko do it?!). And we are met with more quirky, oddball characters. And Don is wonderful match for Jane. I also appreciated all the cultural references and insights. You open the book and truly enter a different world. God Spelled Backwards is a highly satisfying follow-up to Murder in Dog Park, and the surprise ending has me ready for more. My only complaint? Where the hell is Hollywood? Someone needs to snap up the rights to this series and turn Ms. Yesko’s novels into a film or series. 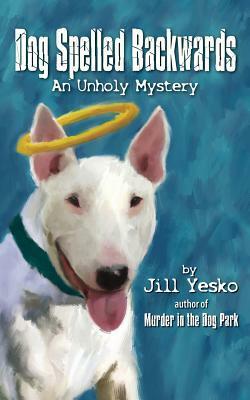 Sign into Goodreads to see if any of your friends have read Dog Spelled Backwards an Unholy Mystery.